The fruits of our harvests are now available at the Firehouse Wine Cellars in downtown Rapid City. 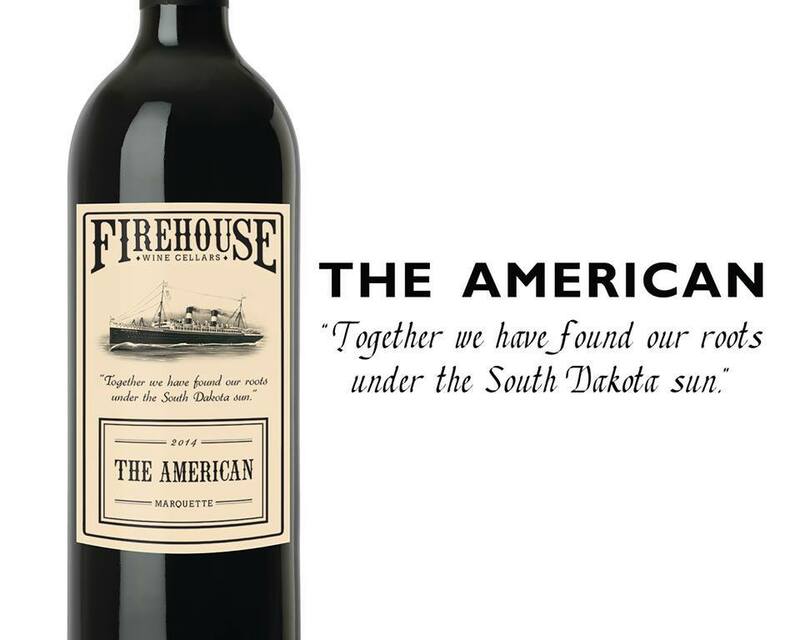 The American is 100% Marquette wine from Old Folsom Vineyard grapes.With notes of brown sugar and almond on the nose and green pepper, tart choke-cherry, sweet beets, and red delicious apple on the palate, The American goes great with wild game. Stop in to have a taste! “Nearly 100 years ago, my grandfather, Antonio Finco, emigrated to this country on a ship called America from the port of Genoa, Italy. Like many others, he left his home and all that was familiar to start a new life in a strange new land. His few possessions he carried in a small suitcase, his traditions he carried in his heart.